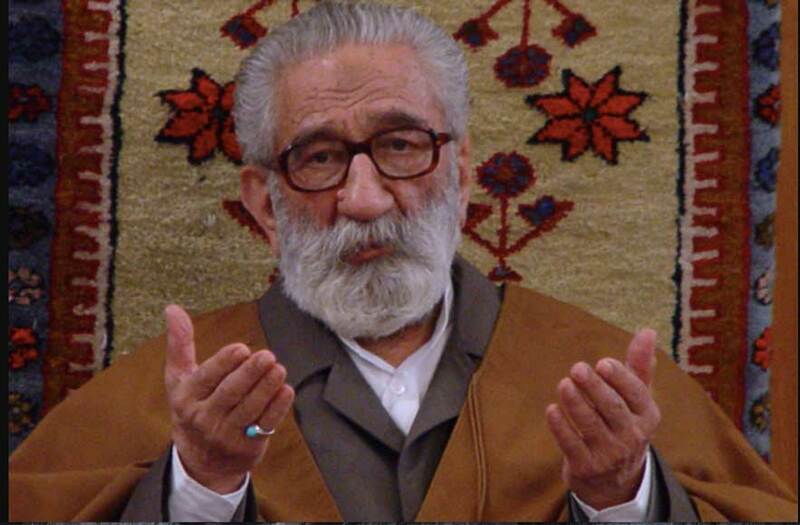 In the latest strike against Gonabadi dervishes of the Nematollahi Order in Iran, government authorities have isolated Dr. NoorAli Tabandeh, its spiritual master (Gutb), from his bodyguards and trusted assistants. They had been protecting and caring for the 91 year-old, held under house arrest since the clashes between the security forces in Tehran in February. An order has also been issued in Dr Tabandeh’s name, ordering his followers not to visit him in Tehran for Nowruz celebrations and to refrain from holding meetings. This follows the death of Mohamad Raji, one of the Dervishes arrested during the recent clashes between Iran’s security forces and the Gonabadi Dervishes. He died while in custody. Raji was a former Revolutionary Guard, and considered a national hero for his part in the Iran-Iraq war. The following is an interview with Dr. Seyyed Mostafa Azmayesh, the official representative of the Gonabadi Dervishes outside Iran. Dr. Azmayesh is also in charge of the order’s spiritual and cultural activities abroad. He explains in detail the Gonabadi order’s beliefs, views, and values as well as its relationship with centers of power from the Qajar dynasty (1789-1925) to the present day. Q: What is the main difference between dervishes and the ruling clerical establishment in Iran today? A: Dr. Azmayesh: Dervishes follow a path of Sufism and mysticism. For dervishes, the Koran is the genesis of Islamic Sufism and mysticism. This article of faith predates the division between the Shia and Sunni sects. The Koran guides Gonabadi Dervishes’ actions. I’m speaking of course of the true teachings of the Koran, which promote wisdom, insight, intelligence and understanding, and not the corrupt interpretation of it that leads to superstition. There is a fundamental difference between Sufis and the ruling clerical establishment. The clerics rely on stories and sayings that are fabricated and falsely attributed to the Prophet Mohammad. But Sufis always refer to the Koran. That’s a significant point. Sufis do not consider their discipline a branch of Islam, but rather Islam itself. In other words, they try to live the teachings of the Koran. Currently, the official religion in Iran is neither Shia nor Sunni nor Sufi. The religious establishment has created a belief system around the advent of the 12th Imam, Mohammad Mahdi. They have dug a wishing well, so to speak, out of which the 12th Imam is promised to emerge soon. They do not follow God’s law and the teachings of the Prophet. They, instead, worship a wishing well. Rampant corruption within Iranian society, particularly the misappropriation of public funds, has turned many disillusioned Muslims away from the establishment. But they do not abandon their faith in God and the Koran. Instead, they find solace in Sufism and mysticism. This trend explains the rise in the popularity of the Nematollahi Gonabadi Sufi Order, which is one of the oldest spiritual disciplines in Iran. They hold gatherings in various cities in Iran. His Holiness Hajj Dr. Nour Ali Tabandeh (Majzoob Ali Shah) organizes meetings and teaching sessions in Tehran. He is a lawyer, a legal expert and a Koranic scholar. Q: What is the core belief of the Gonabadi Order and how has doctrine evolved? A: According to Sufi beliefs, Adam passed on his knowledge to Seth, his third son, who then became his successor. This knowledge and its teachings are to be handed down to the end of time. Each sage is but a mere link in this infinite chain. Some of the more significant links represent prophets and spiritual leaders, including Noah, Abraham, Moses, David, Solomon and Jesus Christ. Christ had 72 flowers, 12 of whom were his disciples and the rest his students. These students were responsible for spreading Christianity. Some of their ideas led to the establishment of Gnosticism, a system of belief which highlights knowledge based on personal experience or perception. Jalal ad-din Mohammad Rumi (poet, Sufi Mystic 1207-1273) said: “Look within your soul and understand the true nature of what you call self. Is it a material thing or a spiritual being? Will it cease to exist at death or flee its shell?” Someone asked Shams-ud-Din Muḥammad Hafez-e Shirazi (the poet, 1315-1390) whether he considered himself to be from Shiraz, where he lived, or from Isfahan, where his parents were born. He answered: “Neither. I’m from heaven.” Koran calls this self-knowledge, Islam. Islam means establishing peace, spreading love, igniting compassion in the heart, mind, body, and soul. The most notable prophet of late antiquity Persia was Mani (216-274 AD). He lived during the reign of the Sassanid king Shapur I (215-272 AD). Mani was born in Parthian Babylonia (modern-day Iraq) which was under the Persian Sassanid Empire (224-651 AD) at the time. He was the founder of Manichaeism, a Gnostic religion which was once widespread but is now extinct. Mani’s father Potk was a member of the Jewish-Christian sect of the Elcesaites (a subgroup of the Gnostic Ebionites.) His most notable book, “Arzhang,” contains many drawings and paintings to express and explain the history of the world. The next notable spiritual teacher was the Prophet Mohammad (570-632 AD), the founder of Islam, which is based on the holy book, the Koran. The Prophet Mohammad’s religious (not political) successor was his cousin and son-in-law Ali ibn Abu Talib (601-661 AD). Ali’s sons Hassan ibn Ali (624-670 AD) and Husayn ibn Ali (625-680 AD) carried the spiritual tradition which was then passed on to their successors all the way to the 12th Imam. The person who was entrusted by Ali to promote spirituality around the world was Hasan Basra (642-728 AD). He instructed several generations of students in both the religious sciences and what was soon to become known as Sufism. He reportedly traveled through northern Khorasan, China, Iraq, Africa and Gibraltar. Hasan’s message was other-worldliness, abstinence, poverty, and reverential fear of God, although he also spoke of the knowledge and love of God, which he contrasted with appreciation and understanding of the world. His followers cover their backs with a coarse woollen cape similar to the one John the Baptist (late1st century BC-32 AD) wore. We read in the Gospel of Thomas that John the Baptist wore clothing made of camel’s hair. He was an ascetic who had no material possessions. Gnosticism evolved into Sufism, which predates Islam. Abraham, Moses, and Christ followed the same path. What was their mission? They were selfless and courageous individuals who wanted to serve people. They tried to control their base instincts, subconscious urges, and self-serving tendencies. They tried to open their hearts and connect with the spiritual realm. One of the most important sages of the 14th and 15th centuries was Shah Nematollah Vali who was born in Aleppo, modern Syria. He studied in Damascus and traveled extensively throughout the region. After fulfilling his Haj duties, he moved through Khorasan, Tabriz, Caucasus, Herat, and Yazd. He finally settled in Kouhbanan in the southeastern province of Kerman. He died in Kerman at the age of 104 (around 1430 AD.) His son, Shah Khalilollah, traveled to Hyderabad Deccan in southern India where he founded a Khaneqah (a building designed specifically for the gatherings of a Sufi brotherhood) and trained a new generation of mystics. That marked the beginning of Nematollahi Sufism. In the early part of the 18th century, a prominent member of the Nematollahi Order by the name of Seyyed Abdolhamid Decani (better known as Masoum Alishah) brought back the tradition to Iran. The flame was subsequently passed on to Rahmat Alishah Shirazi and Saadat Alishah Esfahani. Saadat Alishah chose as his successor one of his brightest students, Soltan Mohammad (native of Gonabad, northeastern province of Razavi Khorasan.) Soltan Mohammad was a gifted soul who was well versed in theology, logic, philosophy, and metaphysics. Q: How much influence did Gonabadi dervishes have during the Qajar reign? 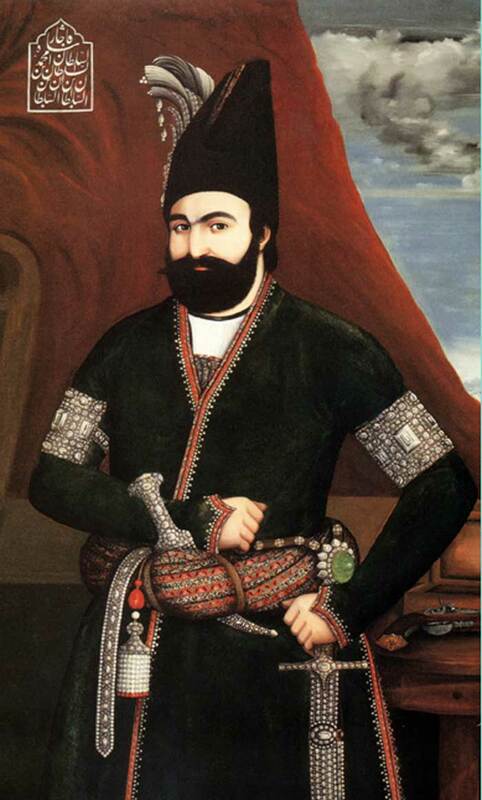 A: Mohammad Shah Qajar (1808-1848) was a devotee of Hajj Zin al-Abedin Shirvani (better known as Mast-e Alishah.) The elders of the Nematollahi Order were present at Mohammad Shah’s coronation. The King appointed many prominent members of the order to senior government posts including Hajj Mirza Aqasi who became the prime minister. Mohammad Shah also named two other Nematollahi Dervishes; Sadr al-Mamalek Ardabili and Rahman Alishah Shirazi as the respective Chancellor and Governor of Fars territories. Mohammad Shah’s reign marked a period of religious tolerance in Iran. No one inquired about another person’s religious beliefs. Muslim clerics didn’t have any power and influence. In one of her books, the historian Homa Nateq (1945-2016) refers to the reign of Mohammad Shah as the government of the dervishes. “Religious tolerance signified this period,” Nateq noted. Subsequently, the Sufi Dervishes became part of the cultural fabric of the country. Dervishes had strong ties to the royal court during the reign of Naser al-Din Shah Qajar from 1848 to1896. Hajj Mirza Hassan Safi-Esfahani (better known as Hazrat Safi Alishah, 1835-1899) was one of the senior leaders of the Alishah branch of the Nematollahi Order. He had a cordial relationship with the king who appointed his son-in-law, Zahir al-Din, to oversee Safi Alishah’s work. In time, Zahir al-Din became a devotee of Safi Alishah, who eventually bestowed the title of Safa Alishah on him. Q: What was the position of dervishes on the Iranian Constitutional Revolution (1905-1911)? A: There were two parallel justice-seeking movements during this period. One was spearheaded by intellectuals, who opposed authoritarian rule and promoted the rule of law. The other campaign was led by spiritualists who believed that God loves all humans equally and makes no distinction between Muslims and people of other faiths. Inspired by Islamic spiritualism, it advocated tolerance. Dervishes promoted this idea within communities. Dervishes enjoy greater freedom under a secular government. They, however, suffer much at the hands of an ideological regime. 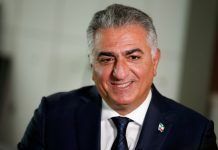 Q: What was the relationship between dervishes and the Pahlavi dynasty? A: Both Reza Shah (1878-1944) and Mohammad Reza Shah (1919-1980) maintained good and close relationships with dervishes. The late Shah had also had cordial ties with the non-political clerics at the Qom Seminary. But he truly respected dervishes. The 1979 Islamic Revolution unleashed a sinister force which was against enlightenment and promoted intolerance. Clerics such as Mohammad Madani-Gonabadi, who were hostile to dervishes during the Shah’s reign, were suddenly enabled to persecute dervishes. 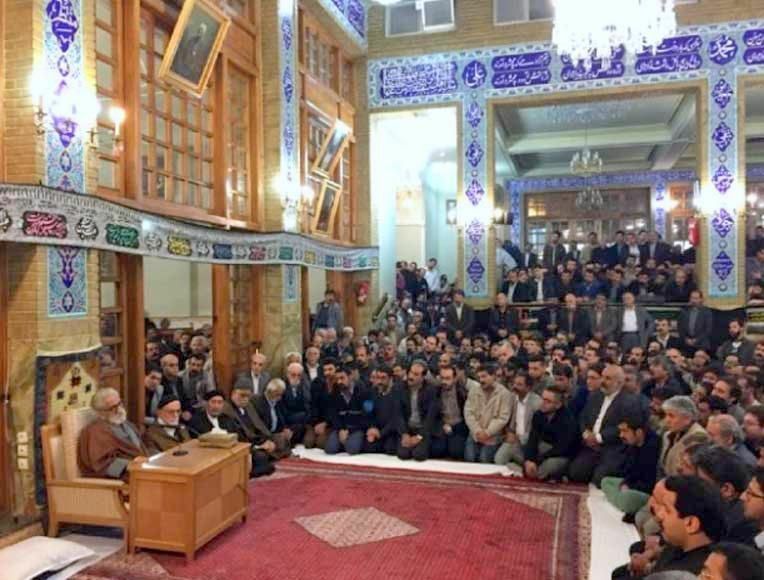 Madani admitted to disrupting gatherings of dervishes any chance he got. They also burned farms that belonged to dervishes. “I’ve been fighting dervishes for 50 years,” Madani wrote in one of his books. 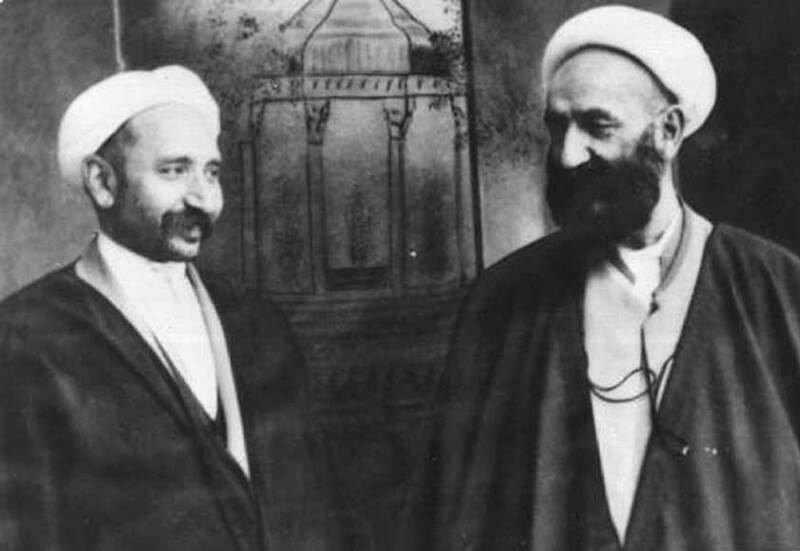 Soon after the revolution, Madani paid a bus-load of thugs to harass the late Hajj Soltan Hossein Tabandeh (Reza Alishah), the spiritual leader of the Gonabadi Dervishes at the time. Subsequently, Soltan Hossein Tabandeh relocated to Tehran. Q: Why did the founder of the Islamic Republic, Ayatollah Ruhollah Khomeini (1902-1989), meet with Reza Alishah after the revolution? A: Mr. Khomeini’s ancestors who lived in India were in contacts with the Nematollahi Order and the students of Shah Nematollah. Mr. Khomeini and his parents moved back to Iran when he was a small child. At the time, Reza Shah had not taken power yet. The family had settled in the southeastern region of the country near the Bakhtiari tribe’s territory. During a dispute between a tribesman and the owner of a local fort, Khomeini’s father was shot and killed. Subsequently, Khomeini and his older brother traveled to Tehran to seek justice for their father. They were hoping for the judicial authorities to arrest and convict their father’s murderer. At the time Abdol Majid Mirza Eyn-ed-Dowleh (1845-1927) was the Prime Minister. 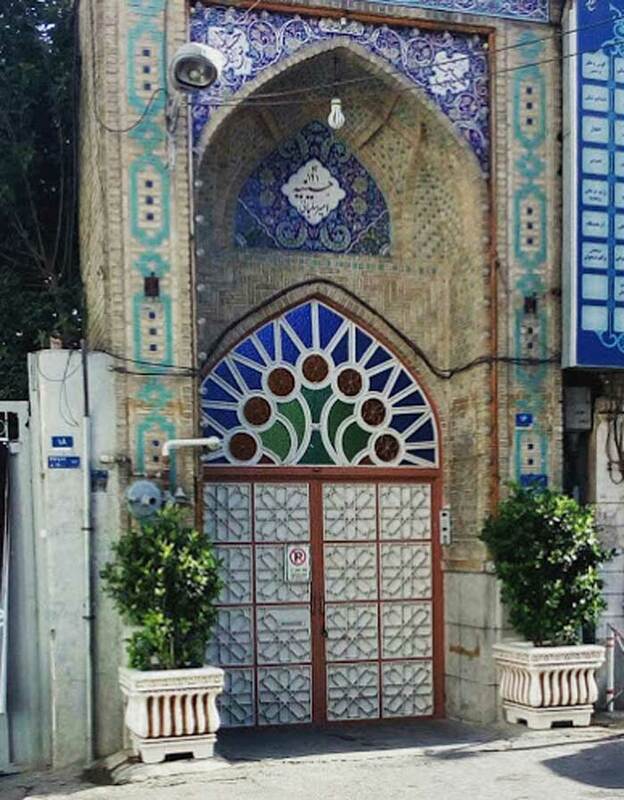 The brothers had stayed at Hussainiya Moshir al-Saltaneh which Gonabadi Dervishes used for their gatherings. 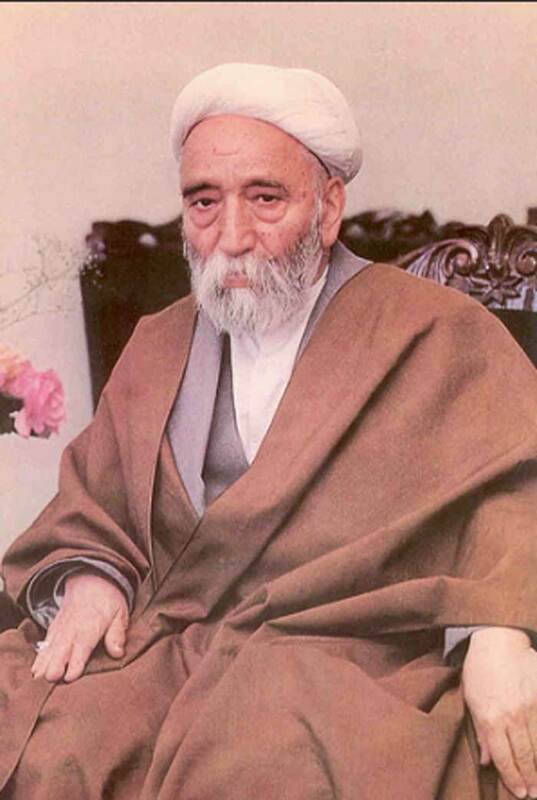 In his memoirs, Madani-Gonabadi said he called for the eradication of the Gonabadi Order during a meeting with Seyyed Mohammad Hosseini Beheshti (architect of the post-revolution constitution, born in 1928, assassinated in 1981) and Abdolhassan Bani Sadr (born in 1933, first president of Iran from 1979 until his impeachment in 1981.) He argued that dervishes were monarchists and were well liked by the former Shah. 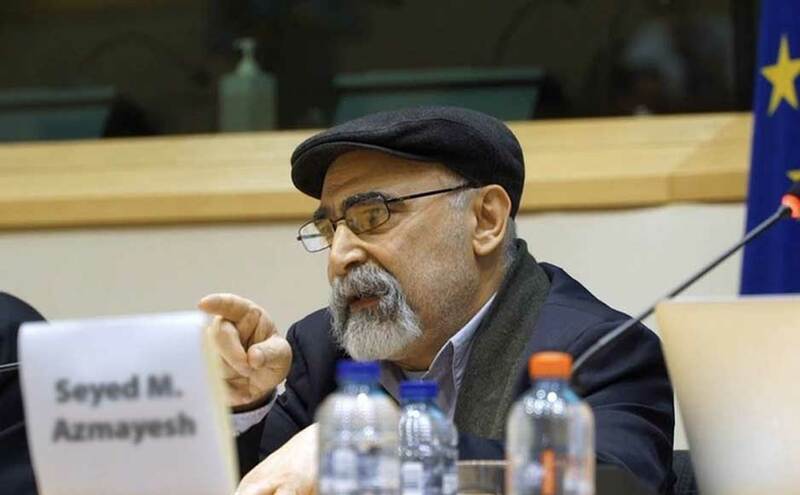 Following his meeting with Ayatollah Khomeini, the spiritual leader of the Gonabadi Order, Soltan Alishah, traveled to France, Germany, Spain, and India. It was during that time that a group of plainclothes men looted and set fire to Hussainiya Moshir al-Saltaneh. The news saddened Soltan Alishah, who canceled the rest of his trip and returned to Iran. After that, the order held its meetings at Haeri Hussainiya. Ultimately, Mr. Khomeini granted the dervishes’ request and ordered the reconstruction of Hussainiya Moshir al-Saltaneh. Hussainiya Moshir al-Saltaneh reopened in 1981. Mr. Khomeini asked the Prosecutor-General, Mohammad Gilani, to issue an official letter to Soltan Alishah and his followers, guaranteeing the safety of the site. The letter also stated that Mr. Soltan Hossein Tabandeh Gonabadi was free to travel through Iran and hold meetings. It also warned that any attempt to interfere with him would be considered a serious crime punishable by law. The provincial prosecutor’s offices and police departments around the country received a copy of the letter. Ayatollah Khomeini released his Clerical Charter on March 19, 1989. The document lists the dangers that the clergy could pose to Islam and the regime. Mr. Khomeini consistently praised those who followed the spiritual path in his writings and collection of poems. In a letter to the Soviet leader Mikhail Gorbachev (Soviet leader, 1985-1991), Mr. Khomeini highlighted the perils of materialism. He also urged Russian scientists and intellectuals to study prominent Sufis, including Ibn Arabia (1165-1240), Shahab al-Din Yahya ibn Habash Shahrawardi (1154-1191) and Mola Sadra (1571-1640.) These events show that Mr. Khomeini held Sufis in the highest regard. The political and social climate changed again after Ayatollah Khomeini’s death. Many people who were against the Sufis and those who walked on the spiritual path rose in ranks and held key positions in the country’s security apparatus. The deputy minister of intelligence, Saeed Emami (born1958- died of apparent suicide in jail in1999) launched a brutal attack on the Sufis and dervishes. Seyyed Mahmoud Hashemi Shahrudi, the head of the Judiciary (1999-2009), issued a directive to all the provincial prosecutor offices in 2005, ordering them to cooperate with the local police, security forces and Islamic Revolutionary Guards Corps (IRGC) in shutting down all Sufi centers. In effect, he violated Khomeini’s decree. The relationship between the regime and the Sufi Order deteriorated rapidly after that. The state has destroyed many Hussainiyas. The IRGC routinely harasses and brutalizes dervishes. The government has even labeled them Daesh (ISIS) Dervishes. The current spiritual leader of the order, His Holiness Majzoob Ali Shah, is unofficially under house arrest. He hasn’t been able to travel for years. There has been a concerted effort to persecute Sufi Dervishes in recent years. The regime’s propaganda apparatus, Qom Seminarians and the hardline Grand Ayatollahs including Hossein Nouri Hamedani, Mohammad Fazel Lankarani, Naser Makarem Shirazi and Lotfollah Safi Golpayegani have launched a full-frontal attack on dervishes. On February 22, 2010, a large group of dervishes gathered in front of the Majlis (the Parliament) to protest against the treatment of Gonabadi Dervishes. Given the recent crackdown on the members of the order, February 22 has been designated as the Dervish Day. In the last few days, the security forces have brutalized dervishes who have gathered around the residence of Majzoob Ali Shah in Tehran. Q: How do you reconcile spirituality in the Machiavellian world of politics? A: Dervishes obey the law. Majzoob Ali Shah is a legal expert. He was a lawyer and a judge. He encourages dervishes to follow the advice of the Greek philosopher, Socrates (470-399 BC), who stressed the importance of upholding the law. The current regime in Iran doesn’t allow dervishes to enter politics even if the order doesn’t object to it. The state considers the Dervish Order an abomination. The regime has ignored the rich history of Sufism and the invaluable contribution it has made to the cultural life of the world. It has called dervishes “corrupt people who belong to a deviant Sufi sect.” Muslim clerics reinforce this negative image in their sermons and fatwas. A person is fired from his job if they discover that he is a dervish, even if he sweeps the street for a living. It is unimaginable for a dervish to run for political office in the current climate. There are no opportunities for dervishes. The Iranian regime doesn’t protect the rights of its citizens. Iran has a colorful cultural fabric. People of various faiths, ethnic origins, and racial backgrounds have helped to create the national identity of this ancient land. For most of its history, Iran has been a secular country. In the past 40 years, however, some people have misappropriated public funds, looted the treasury and committed heinous crimes against the population with complete impunity. They have turned people away from Islam and religion. Dervishes are law-abiding citizens who would like to live in peace. But does the Judiciary treat all citizens equally? The answer is a resounding no. The authorities persecute Bahai’s, Christians, religious converts, atheists, Dervishes and others. During the Presidency of Mahmoud Ahmadinejad (2005-2013), many Hussainiyas were demolished. Mr. Mehdi Karubi (currently under house arrest) was outraged by the destruction of Hussainiyas. He wrote a letter to the Interior Minister Mostafa Pourmohammadi condemning the violence against dervishes. In response, dervishes overwhelmingly voted for Karubi in the 2009 presidential elections. Subsequently, the authorities accused dervishes of plotting against the state. During the 2013 presidential elections, Mr. Hassan Rouhani spoke against the mistreatment of religious minorities and those who held different beliefs. During his first term in office, Mr. Rouhani appointed Ali Younesi as the Special Assistant to the president for Ethnic and Religious Minorities’ Affairs. Mr. Younesi worked tirelessly to address the problem. He even admitted that dervishes had been victimized for years. He promised that those injustices would never happen again. President Rouhani unveiled his Charter on Citizens’ Rights in February 2017. It guarantees citizens freedom of speech and expression “within the limits prescribed by law,” and the right to access public information, communicate in cyberspace, assemble and participate in demonstrations, and enjoy due process of law. Unfortunately, the regime has not implemented the articles of this social contract. The pressure on dervishes has increased due to their growing popularity with the public. Dervishes uphold the same spiritual values that have been expressed by poets such as Hafiz, Rumi, Saadi Shirazi (1210-1292), Attar of Nishapur (1145-1220) and Sanai (1080-1141). But the authorities want to replace these spiritual treasures with the culture of “worshiping a wishing well.” They want to suppress the Dervishes Order. Dervishes live quietly and never disturb anyone. Yet they live in dangerous times. The authorities are claiming that some of the extremists are dervishes, which is the farthest thing from the truth.